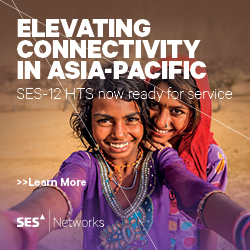 This global edition features exclusive interviews with the most influential CTOs of the industry in North America, Europe and Asia, along with independent opinion features from research labs and universities. 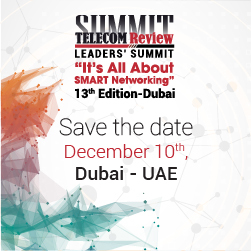 The edition is online on all Telecom Review editions’ websites and in hard copies to be distributed to the leaders of the industry and upon request. “We’re launching a special global edition about 5G and cybersecurity featuring for the first time ever the most influential leaders in the industry who have shared their expertise and opinion in cybersecurity for 5G, exclusively for Telecom Review and the Cybersecurity edition”, announced Toni Eid, founder of Telecom Review and CEO of Trace Media International. “It’s great to see that Telecom Review is taking a much needed global lead on 5G and cybersecurity, and I’m pleased to participate, alongside my peers, by sharing our views as global technologists. It’s critical that we provide objectivity and concrete cyber mitigation plans for a 5G roll out where the focus is on technical analysis. There is no CTO in the world that would not have the security of their systems as a top priority. That’s where the real discussion should be focused on how best to secure 5G across all markets,” said Dr. Ibrahim Gedeon, CTO, TELUS. The special edition presents to the readers the opinion of four major CTOs - Ibrahim Gedeon, TELUS; Andre Fuetsch, AT&T; Emmanuel Lugagne Delpon, Orange and Hongbeom Jeon, KT – who agreed on several 5G-related topics. You are invited to check the 5G special edition online to be aware of a topic very few were able to point out. Outlook to 2019: What should we expect?